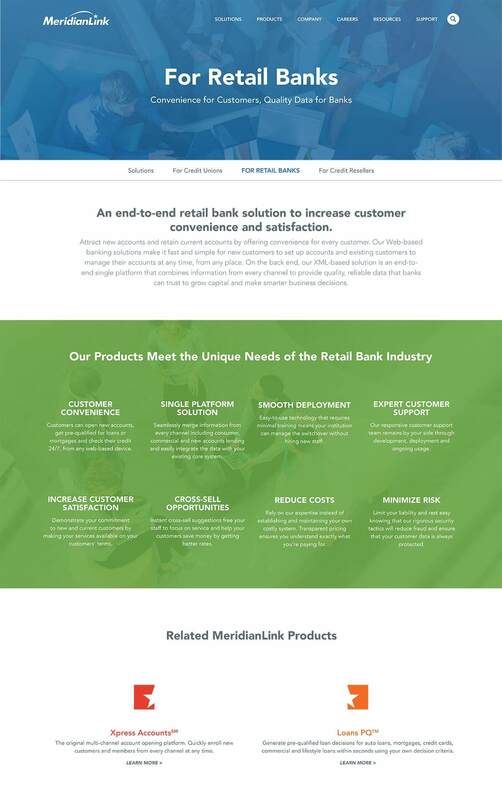 MeridianLink developed a software solution that has become the industry standard for web-based credit technology. 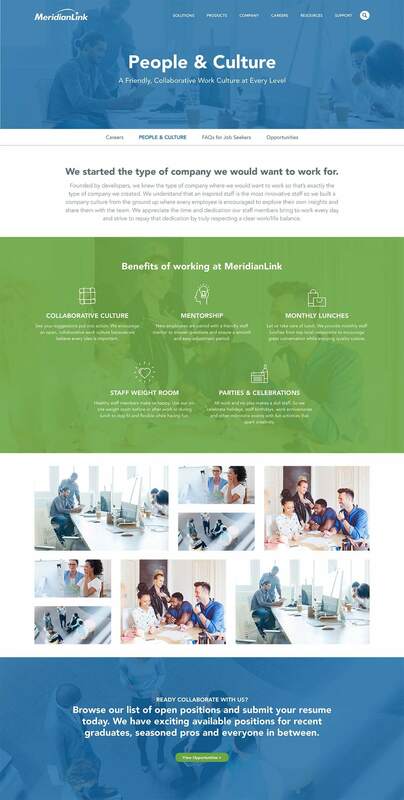 With many software web design projects under its belt, Bop Design was the perfect fit for MeridianLink. 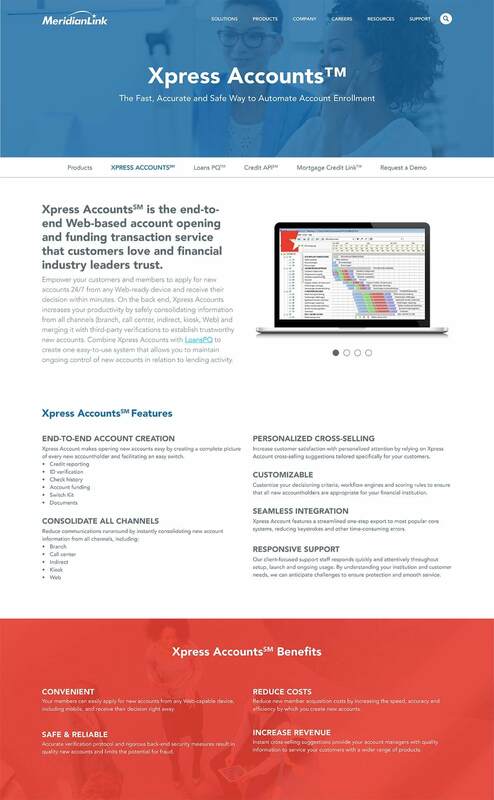 Bop created a new website design for the software firm that better resonates with decision makers at credit resellers and crediting information firms. 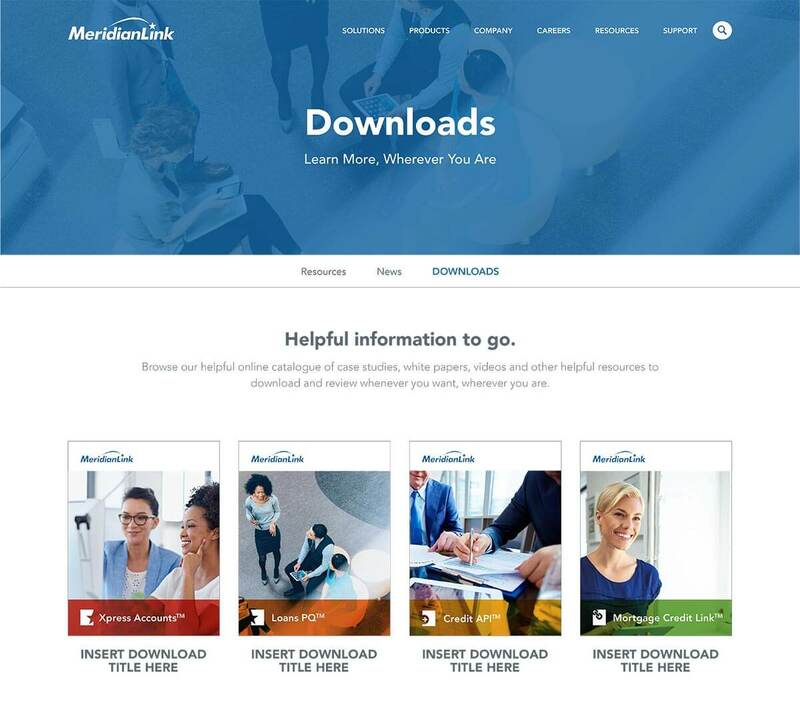 The web design also serves as an engaging recruiting tool with a careers section that entices prospective clients about company culture, benefits, leadership, etc.